Juno is 7 years old, about 12 lbs. 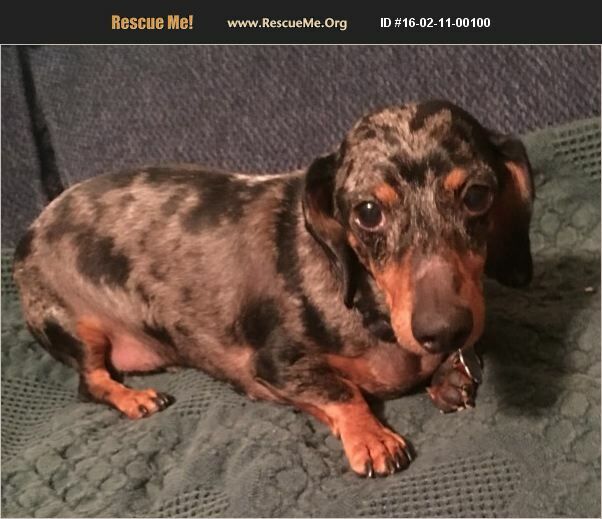 He is a really sweet and loving dachshund.He will sometimes ring the bells if on the door to go outside. He loves to run in his fenced in yard and also walks great on the leash. He is on prescription food, Hill's Science Diet u/d dry and or can. His urine showed oxalate crystals, x-ray showed no bladder stones, but should be kept on his prescription diet to prevent them from forming. He is neutered, up to date on all vaccines, microchipped and just had a dental. For more info or your application please email us.